At Isuzu, we believe the measure of true performance and value starts long after that new-car smell fades away. 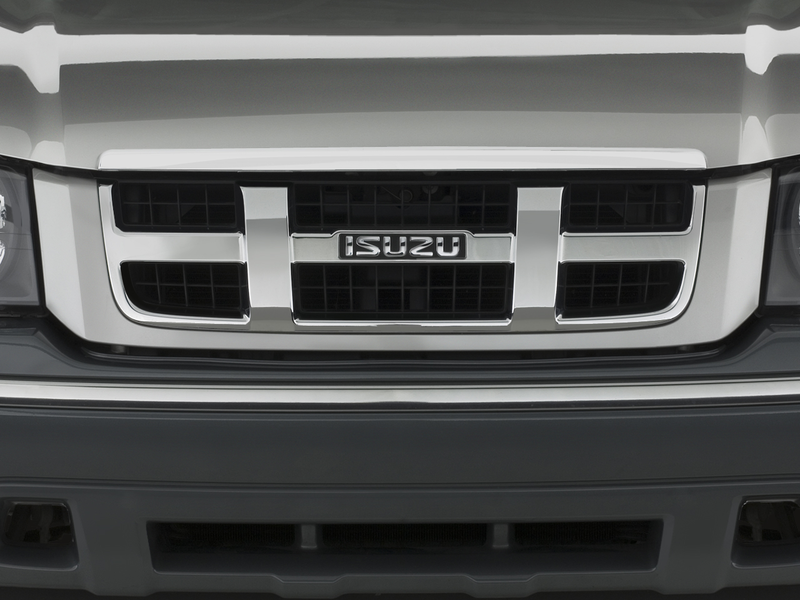 For decades, Isuzu vehicles have been designed, built and tested for the long haul. Which helps explain how we can offer such impressive Powertrain Limited Warranties that cover their most expensive and essential parts. For specific details on the SUV or pickup truck warranty that protects your Isuzu vehicle, start by selecting your vehicle’s model year. Isuzu’s commitment to your satisfaction didn’t end when you left the dealership. Isuzu’s warranty coverage is a commitment to stand behind our vehicles. That’s why our basic warranty is one of the best around — covering you for 3 years or 50,000 miles with no deductible. Isuzu vehicles excel through scouring salt air, scorching desert heat and the most corrosive winter conditions. And to be sure, they’re covered for 6 years or 100,000 miles against rust perforation. As reliable as Isuzu vehicles are, they can’t do much about empty gas tanks or dead batteries. That’s where roadside assistance comes in handy. Just call the toll-free number (800) 444-0303 and we’re there ASAP. Isuzu’s commitment to your satisfaction doesn’t end when you left the dealership. The Isuzu vehicles’ natural defenses extend to a Basic Limited Warranty that is worthy of note. It lasts for 3 years or 50,000 miles with no deductible. Isuzu’s robust powertrain coverage, teamed with this impressive protection, are man’s best chance against the onset of worry warts and general gloom. A most remarkable offering is Isuzu’s 24-hour Roadside Assistance. A dead battery, a flat tire or the absence of fuel can all be remedied with a simple phone call. Over 12,500 facilities nationwide are available every day of the year for the first 5 years or 60,000 miles you own your vehicle. Just call the toll-free number (800) 444-0303 and we’re there ASAP. Isuzu vehicles excel in a plethora of extreme conditions. Scouring salt air. Blistering desert heat. Corroding winter muck. No matter how abrasive the environment, you can feel confident your Isuzu vehicle will hold up. And to be sure, it’s covered for 6 years or 100,000 miles against perforation from corrosion. The Protection Plan extended service contract provides peace of mind when the Basic Limited Warranty expires, with low-cost coverage for up to 10 years or 120,000 miles. Except as otherwise indicated, the New Vehicle Limited Warranty (Basic) covers Isuzu vehicles to the date of delivery of the vehicle to the original retail purchaser or the date the vehicle is first put in use, whichever is earlier. The air conditioning system installed in Isuzu vehicles as original equipment by Isuzu Motors Limited (“Manufacturer”) or Distributor is covered for 36 months or 50,000 miles, whichever event occurs first, from the date of delivery of the vehicle to the original retail purchaser or the date the vehicle was first put in use, whichever is earlier. The Isuzu Powertrain Limited Warranty is extended to the first owner and all subsequent owners of the vehicle for a period of 60 months or 60,000 miles, whichever is earlier. There is no deductible charge for the Isuzu Powertrain Limited Warranty. This warranty coverage is for a period of 2 years or 24,000 miles, whichever event occurs first. If a catalytic converter or an electronic emissions control module vehicle control or powertrain control or an on-board emissions diagnostic device is found to be defective under either of these warranties, those parts are covered by warranty for 8 years or 80,000 miles, whichever event occurs first. This warranty coverage is for a period of 3 years or 50,000 miles, whichever event occurs first. If a vehicle fails a Smog Check inspection, all necessary repairs and adjustments are to be made so as to ensure that the vehicle passes the inspection. This is the emission control system Performance Warranty. If any emission related part on the vehicle is defective, the part is to be repaired or replaced. This is the short-term emission control system Defects Warranty. Additionally, certain emission related parts are covered by warranty up to 7 years or 70,000 miles. This warranty coverage is for 72 months or 100,000 miles, whichever event occurs first, from the date of delivery of the vehicle to the original retail purchaser or the date the vehicle is first put in use, whichever is earlier. Warranty coverage for towing and the Isuzu Roadside Assistance Program is for the duration of the Powertrain Limited Warranty period (60 months or 60,000 miles, whichever event occurs first) when towing is required due to a defective part that is covered by the vehicle’s warranty and/or by an existing service or recall campaign. After the first 12 months or 12,000 miles, whichever event occurs first, from the date of delivery to the original retail purchaser or the date the vehicle was first put into use, whichever is earlier, original equipment battery and seat upholstery are not covered after 12 months. Normal noise (wind noise, groans, gear noise, rattles, squeaks), vibration, wear, tear or deterioration such as discoloration, fading or deformation is not covered. Surface corrosion on other than body panel, other than perforation caused from defective materials or workmanship, is not covered after 12 months or 12,000 miles, whichever event occurs first. NOTE: State laws & regulations may supersede these guidelines.